I want to say something and I want the world to know it. I want to say it publically, unashamedly and unabashedly. I don’t care if it’s way too soppy, way too sentimental, and way too emotional. Because I just watched a video of how Israel is helping ordinary people from Syria, a country it is officially at war with. I’ve just watched how its soldiers, its doctors, its citizens treat wounded people, traumatised children with not just professionalism, but with genuine compassion, and empathy and love. And it doesn’t have to. It chooses to. But it’s not just Syria. It’s all over the world. Wherever there’s a humanitarian crisis, you just know whatever or wherever it is, Israel will never be far behind sending help. Some may say that it’s just Israel trying to improve its public image. Well, I would say that to the thousands and thousands of people who are treated and cared for and whose lives are saved, they don’t think quite as cynically as the many others whose only goal in life is to demonize Israel. Every day, I see the vitriol of hatred being poured on this little country. I see it being demonized and slandered and accused of the worst crimes in history, and I just shake my head and wonder at how people can be filled with so much hatred and so much ignorance. Too often we hear an announcement about another Day of Rage, but every day in Israel is a day of hope in which they are trying to make the world a better place. And they don’t need announcements for that, because it’s part of the national mission of the Jewish people. Israel is not without flaws, but it is a living country, with a beating heart that stretches so far beyond the boundaries of its miniscule border lines. It has a spirit that encompasses not just its small patch of ground, but the world over. Many times we read posts from people saying that as a Christian, or as an Arab, or as a Buddhist they support Israel – and we applaud, because that’s great. And while there are some Jews who inexplicably openly campaign against Israel, I’m also going to tell you something else. I’m going to tell you that as a Jew, I am so proud of the nation of which I feel so lucky to be a part of. I am so proud of my little Jewish State that not only provides a homeland for us, but also allows every Jew in this world to hold their heads a little higher, walk a little taller and stand a little prouder than they ever did before. Boomerang Says it Like it Is…in Arabic! 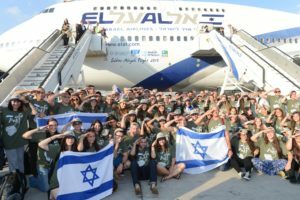 The time and money that Israel spends helping its sworn enemies and terrorists would be better spent helping poor Jews, especially those poor Jews who only eat kosher. Mr. Cohen.. how dare you. so if a Jew doesnt eat Kosher he’s not worth Helping? as a Cohain, you should be ashamed of yourself for such a comment. Well done to Justin Amlar. This…just this…exactly this!!! Thank you, Justin!! !